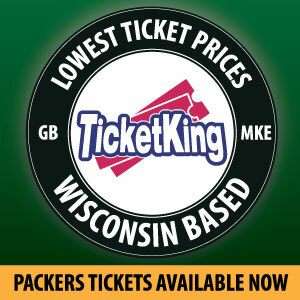 Who’s In and Out for the Packers’ Final 53 Man Roster? 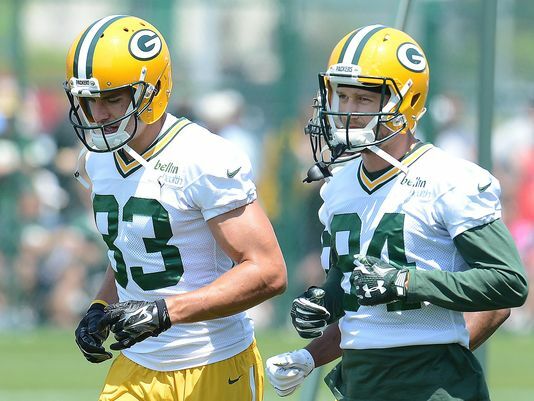 With the start of training camp just a few days away, the process of whittling down the current Green Bay Packers roster of 88 to 53 will begin. While most cuts won’t take place until after the Sept. 1st and 5th cut-down dates, the battle for those coveted roster spots really begins now. While a relative few are locks to make the final roster, the full character of the 2015 Packers will not emerge until camp battles are won and lost, with some players flashing, and others faltering. With the NFL draft having concluded nearly 3 months ago, we are transitioning out of the slowest period of the NFL offseason. Sports fans and writers are chomping at the bit for real NFL news and now, with the commencement of training camp, they have something tangible upon which to focus. This is the time of the year when NFL teams are beginning to take shape, but there remains a great contingency as to their final composition. For that reason, it is fun to take a look at each player currently on the roster and analyze what chance they might have of being one of the final 53, a member of the 2015 Green Bay Packers. I’ve divided each of the 88 players now on the roster into 6 groups based on likelihood to make the final cut. Every player is considered based upon the assumption that they will remain healthy throughout training camp and the preseason. I will finish with my own roster prediction. As the title suggests, this group is composed of players who are essentially guaranteed a spot on the final roster. While Damarious Randall and Quinten Rollins are obviously far from proven in the NFL, the Packers have too much invested in their 2015 high draft picks (drafted #30 and #62 respectively), especially at a position in need of depth, to not guarantee their place on the roster. Casey Hayward makes this list for a similar reason. He has flashed big play ability and certainly has the talent to shut down NFL receivers, but he’s also had a difficult time staying on the field due to injury. The loss of veterans Tramon Williams and Davon House has definitely helped players like Hayward and Micah Hyde solidify their spots on this team. These players are not guaranteed a roster spot, but their not making the final cut would be a fairly major surprise. It would take some very unforeseen and rare circumstances coming together for them to be unseated. While Scott Tolzien is sure to be QB#2, the Packers surprised many by taking Brett Hundley in the 5th round (147 overall) of the 2015 draft. The UCLA product doesn’t project to provide much value to the team this year, but his talent and high ceiling make him a prospect that would not survive a trip to the practice squad as he would almost definitely be snatched up by another team. Ty Montgomery also benefits from being a high draft pick on a team managed by Ted Thompson. While the wide receiver position is extremely deep, Montgomery would really have to lay an egg for Thompson to walk away from a third round pick this early. His talent as a return man also helps to solidify his spot. Kuhn may not be long for Green Bay, but he has continued playing an important role on this offense over the past few seasons. Signing a one year deal at the veteran minimum, the Packers are unlikely to hand over a key role in the offense to undrafted rookie Aaron Ripkowski just yet. Nick Perry and Mike Neal are both in make-or-break years with the Packers. Both players have flashed real talent, but have generally failed to progress and become a reliable, impact player rushing the QB. Both were highly drafted players (Perry a 1st round pick in 2012 and Neal a 2nd round pick in 2010) that are now in contract seasons. Their long-term future in Green Bay is a debate for next offseason, however, as both will likely be kept for at least one more year to prove themselves. Jake Ryan’s stock is higher than it might be on other teams given the weakness of the position for the Packers and how committed Ted Thompson is to his draft picks, but the rookie has a legitimate shot at seeing a lot of playing time this season. Seeing these players cut wouldn’t exactly be major NFL news, but it would certainly be a surprise to fans of the team. A young, ascending, unsung player beating them out in a camp battle, or being cut due to a lackluster camp and preseason is unlikely but a possibility. The most controversial player on this list is likely to be Kennard Backman. With the revitalization of the special teams unit a point of emphasis for the team this year, I think Backman will make the team based on his ability to play nasty. Sure, Justin Perillo has a year of experience with the team already under his belt, but Backman seems to be stronger and more athletically gifted. Given Ted Thompson’s track record of giving his draft picks the benefit of the doubt in their first year, I think Backman will stick and unseat Perillo (if necessary). Another surprising selection is Matt Rotheram. The rookie out of Pittsburgh is the most probable candidate to be Ted Thompson’s annual undrafted super find. Rotheram might be one of the best steals among undrafted rookies in the league. Pro Football Talk rated Rotheram as the best run blocking guard in college football in 2014. He’ll likely be vying for a final offensive line spot with Lane Taylor, who showed little in his limited time with the Packers last season. Rotheram is a player to be excited about. It would seem that the Packers would want to bring Jared Abbrederis back, but if Ted Thompson and Mike McCarthy would decide to stick with their tradition of keeping 4 tight ends, Abbrederis could be an unexpected cut, as Janis makes the 5th and final receiver spot. Also featured on the list are reliable veterans Andrew Quarless and Letroy Guion, both facing possible suspensions for off the field issues this offseason. The lack of depth at their respective positions will likely warrant their being kept around, but the prospect of their absence for multiple games this season could become a factor if either puts forth sub-par performances throughout the preseason. Mike Pennel is a good bet given Guion’s likely suspension and the fact that he’s the only other true nose tackle behind B.J. Raji. Jayrone Elliott has an edge on the other young OLBs brought into camp, but the coaching staff will want to continue seeing the dominance he showed last preseason. It’s imperative for Elliott that he not become Vic So’oto 2.0, looking downright fantastic in his first preseason, but then fizzling out due to injuries and stagnant growth. These are the players that are on the bubble, as it were. It is equally likely that they make or not make the roster. Aaron Ripkowski is a very talented fullback who may be the future at the position in Green Bay. However, in order to justify the Packers keeping 2 tight ends when nearly half of the league doesn’t even keep one, Ripkowski is going to have to both prove himself a good future prospect and a capable special teams player right away. Christian Ringo and Khyri Thornton might end up battling for one roster spot between the two of them. Both are young talents. Thornton comes with the higher draft pedigree, but he also sat out all last year due to injury. This will be one of the more intriguing set of players to watch in camp. These players are likely to be fighting for perhaps only a handful of spots. For that reason, any one of these players could be described as having the odds stacked against them to some degree. Of course, the talent and position depth is varied here , so some have a better shot than others. A few of these players will certainly make the roster, so each of them has a legitimate shot to make the team. Some of those that don’t will be good candidates for the practice squad. Most agree that the Packers will keep one running back behind the tandem of Eddie Lacy and James Starks. Generally, Rajion Neal and John Crockett have dominated the conversation of who will take that spot. Neal is excellent catching passes out of the backfield and is already familiar with the offense. Crockett is an undrafted rookie, but was expected to be a late round draft pick. Fans shouldn’t count Alonzo Harris out, however. At 6’1″ and 237, he’s a huge back, built in the mold of Lacy. The tight end position has enough question marks that experiened special teamer Justin Perillo and the raw but talented rookie prospects of Harold Spears and Mitchell Henry should not be overlooked entirely. Fans might remember that there was some buzz about Joe Thomas competing for a starting job at the inside linebacker position last training camp. A knee injury in the first preseason game changed that, but he’s back in camp with the position probably as open as it was last year. He’s a dark horse candidate to make the team. These players are on the outside looking in. While no one can ever be counted out entirely, these players are facing pretty long odds. The wide receiver position is so crowded that many good, young players will be forced to attempt to get a call from another team. It wouldn’t be a surprise to see Green Bay keep one of them on the practice squad. Ladarius Gunter is an interesting prospect out of the University of Miami. At 6’2″ and 200 lbs. he has size that the coaching staff might find intriguing. If there is one constant with roster cutdowns, it is that they are often full of surprises. Below is my shot at a final roster (which is sure to look silly in just a few weeks). This entry was posted in Taylor O'Neill and tagged Final Roster. Bookmark the permalink. Nice 53 but I think they keep Gunter over Banjo since Hyde can play Safety and so could Randell in a pinch. I’m starting to think Abby will just end up a Badger Folk hero, the guy can’t make it past the first week of TC! As I mentioned in the article, training camp has a way of making these predictions look silly. We’re only four days into camp, but I’d already change a few of these predictions. No one could have predicted Abbrederis’ injury, but I’d certainly now put him in the Coin Flip category. I actually think he’s facing a slightly less than 50% of making the final roster. And Gunter has certainly made a name for himself. I’d say he’s more likely than Goodson for sure. The only issue I see is that, if they keep Gunter, that means they’re keeping 6 CBs including Hyde. Out of that bunch, the first to go would be Banjo, but then you’ve got only 3 full-time safeties on the roster, a group that would look pretty darn depleted if even one of those guys goes down. It’ll be interesting to see how the defensive back situation will play out.